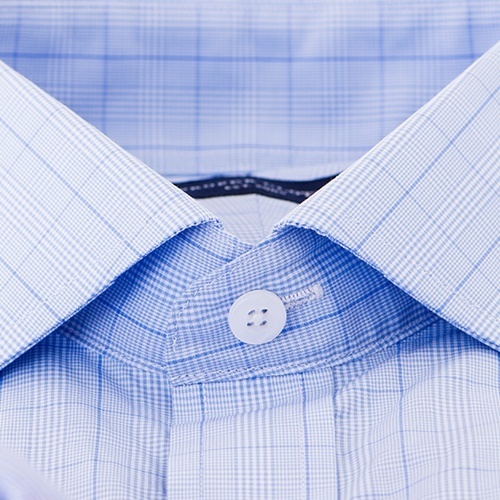 We make it easy for men to buy dress shirts that fit perfectly. The idea was simple: make it easy for men to buy custom dress shirts. But we stuck with it. Listened to our customers. Improved our systems. Became experts on shirts and fabrics. Photography and user interface. Supply chain and logistics. Our growth has been strong and steady, but we’ve kept our team small. We do all of our design and customer service from our showroom in Soho, New York. Considering fabrics, fit, service, speed and just overall value, we’re way ahead. But that’s not enough. We want to be the best that it’s possible to be. So, we’re always searching for better materials. Analyzing our customer service. Expanding our fit options. Refining our UX. Technology is what enables us to streamline operations, reduce errors and deliver a better value. Technology helps power new and delightful customer experiences. We’re pioneers in 3D visualization, statistical size regression and personalized ecommerce. We look at the future of retail and see massive opportunities. We aspire to build a leading menswear brand. This is about more than technical metrics. Style matters. Taste matters. The people that help you with your purchase matter. It’s the feeling you get when you touch our products or come to our showroom or browse our site. Our brand is driven by who we are. As designers, entrepreneurs, and as friends living and working in New York City. We stand behind our products. We take pride in what we do. We hope you will too. It all starts with the fabric. 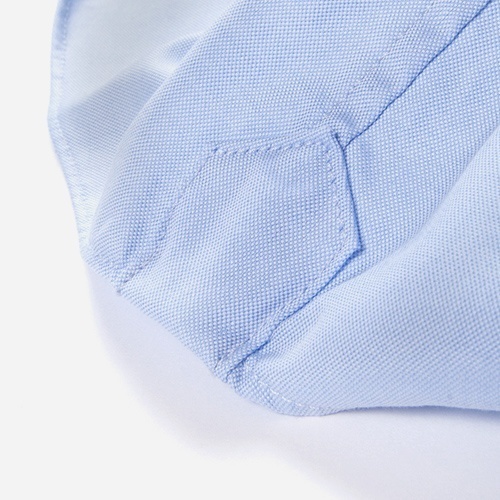 Over the years we’ve become experts in dress shirt fabrics, working directly with some of the world’s greatest fabric mills across Europe, Japan and China. We’re also endlessly digging through the archives of Thomas Mason, Canclini, Albini and others searching for the perfect styles. Increasingly, we’ve been designing our own custom fabrics, selecting the precise colors, patterns and construction to achieve the ideal look, comfort and performance. In all categories, we carry a wide range of fabric qualities from relatively basic constructions up to luxurious 120s two-ply sea-island cotton. 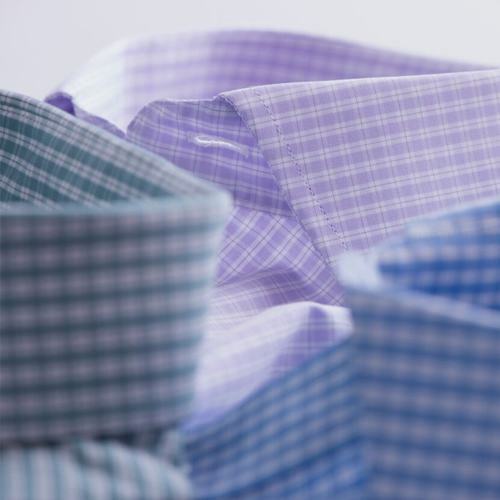 Our construction methods combine sophisticated technology with traditional shirt making methods. 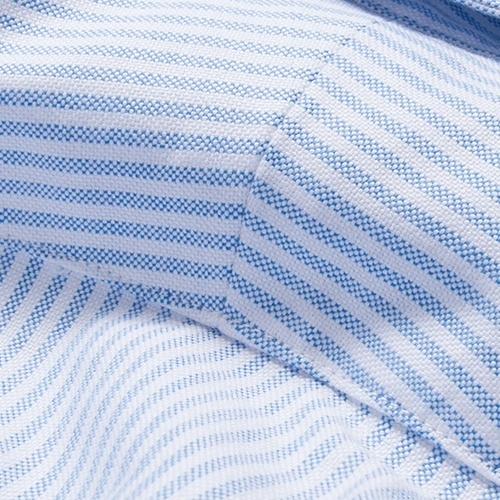 We use computer generated patterns and robotic fabric cutters that are fast and reliable, with assembly by experienced tailors who carefully hand-sew shirts with care to help achieve a perfect fit every time – guaranteed. 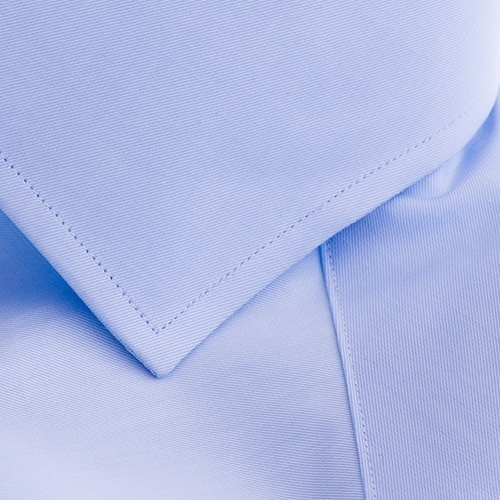 Our collars come in a range of constructions, from crisp, fused business collars to soft, casual, unfused collars. 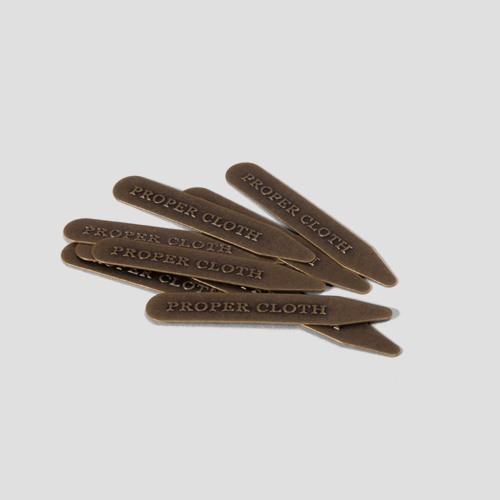 Side seams are always reinforced with gussets for increased durability. We employ split yokes by default with beautiful pattern matching behind the collar. 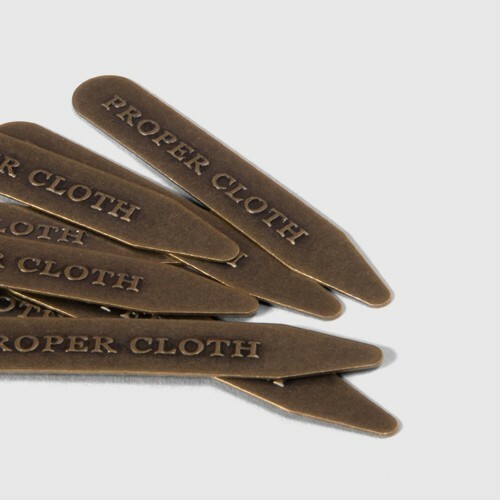 Brass collar stays are standard. If you’re particular about how a shirt fits, you’re in good company. Our custom size options are incredibly comprehensive for any body type. We have a powerful custom sizes interface, combined with clear, helpful advice and videos to give you full control of your sizing and fit. 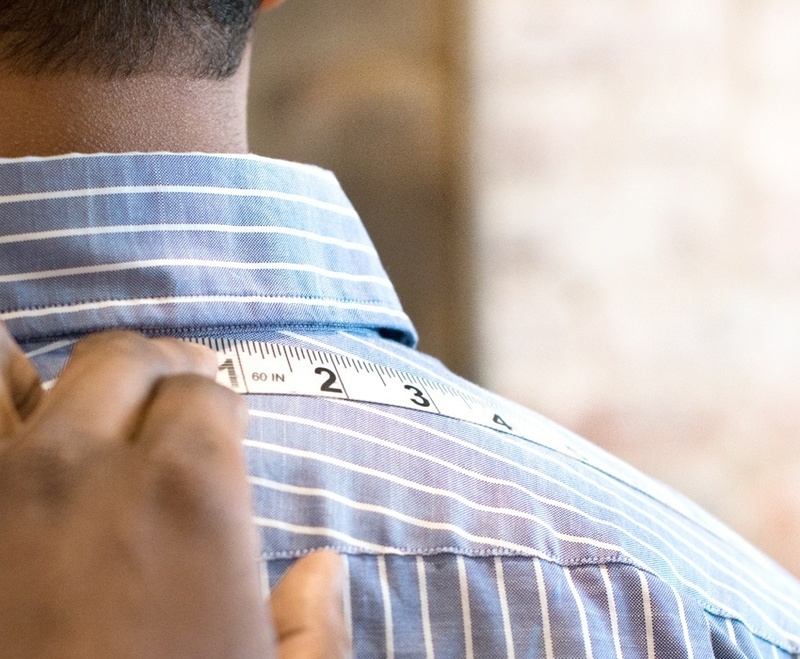 We’ve also pioneered new size technologies such as Smart Sizes, which leverages powerful statistical algorithms and our large dataset of sizes to predict your perfect fit. 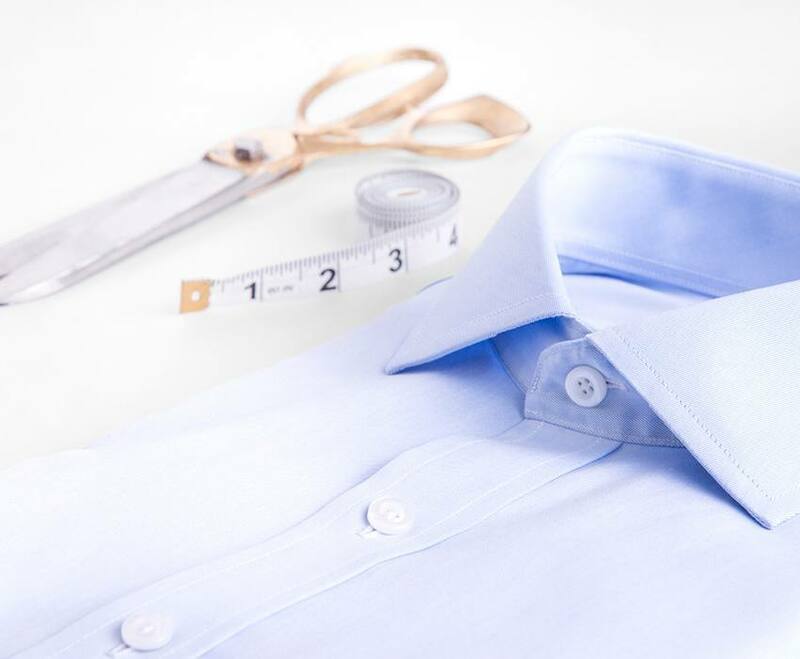 And it’s our perfect fit guarantee, complimentary alterations and expert customer service that help ensure you end up with shirts that fit exactly right. Sometimes it’s about being unique and standing out. Sometimes it’s about dialing in your own version of a classic look. Regardless, we provide the options to get you there. 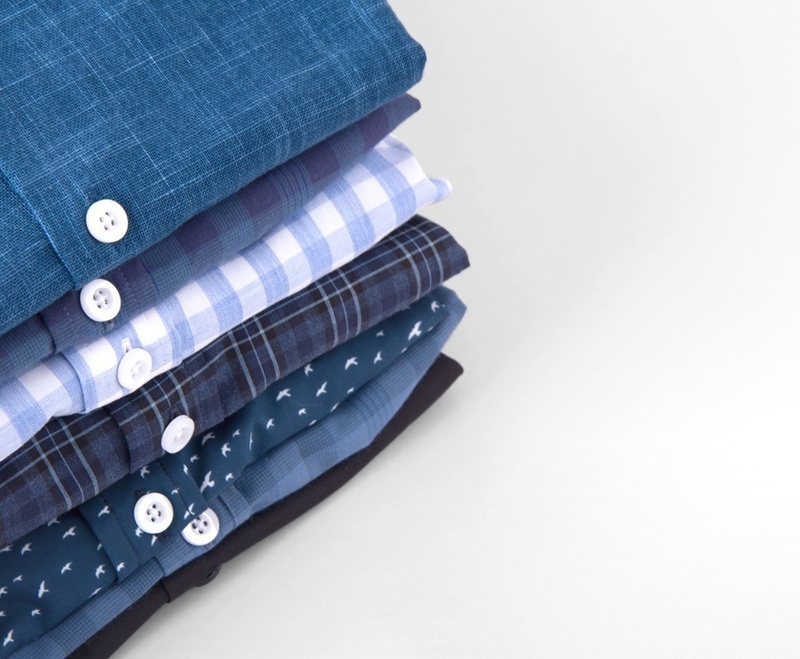 With over 400 fabrics, and new ones rotating in every week, we cover a wide range of styles — not to mention, more than 20 collar, cuff, and button styles to help you tailor your look. Finish it off with an collar or cuff accent and personalized monogram. You can design your own shirt from scratch or customize one of our featured designs to get exactly the look you’re going for. Buttons securely attached with heat-sealed shank.